Provide significant products or services to the residents of the City of Stirling region. 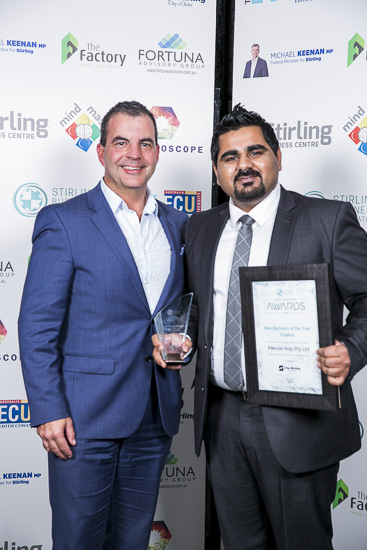 Eligible small businesses are required to complete our online entry form to enter the 2019 Small Business Awards. All nominations must be in accordance with our guidelines and must be submitted online by the closing date. All nominations will initially be assessed by our independent panel of expert Award Judges. All nominees will then have the opportunity to present their business story face-to-face to a member of the judging panel and receive mentoring support as part of that meeting. Be available for your face-to-face meeting with a member of our judging panel during the week of 1-5 July 2019. We want everyone to have the opportunity to share their story in the best way possible and be able to access some guidance on your business journey. 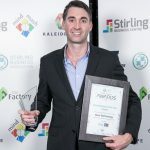 This year, all nominees who enter Stirling’s Small Business Awards will have the opportunity to enhance their written nomination, demonstrate their passion and commitment for their business and receive expert business advice on their most important business issues. This session is valued at $250. Download our 2019 Awards Nomination Pack which contains our guidelines and terms and conditions as well as the questions for your nomination. Download our 2019 Editable Nomination Template to work on your application as you go. Be organised – don’t leave writing your nomination to the last minute. That June deadline might seem an eternity away but it will be here before you know it. The end result of winning Small Business of the Year is twofold. My staff and I have a great sense of pride about it, which really helps morale. We feel like all our hard work has finally been recognised! Secondly, closing sales becomes a whole lot easier when the lead knows that you are Small Business of the Year. They instantly know you are credible, without you having to convince them. I wholeheartedly recommend just going for it. You never know how you will do, and the end result is fantastic for your business.